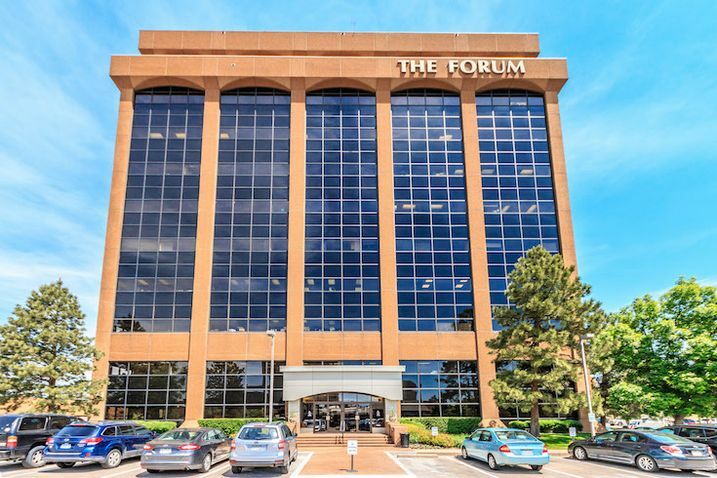 Millice Group Ltd. has had a couple of good runs with The Forum at Cherry Creek, recently selling the Glendale office tower to a local company for $13.6 million, or $163.32 per square foot. “We’ve actually owned this building twice,” said Millice Group President Bo Millice, whose company has officed in the building at 425 S. Cherry St. for many years. The company recently handed the reins to the 83,268-square-foot building to Centre Point Properties, which will make its mark with new tenant amenities and updates. “We plan on doing a complete modernization of the lobby, elevators, bathrooms and common-area hallways. We also plan on adding new tenant amenities, including a coffee bar and lounge area, outdoor patio and a bike rental program free to the tenants,” said Tucker Manion, Centre Point president and founder. According to Aaron Johnson of Cushman & Wakefield’s Denver Capital Markets Group, “The Forum at Cherry Creek provides a significant value-add opportunity with a stabilized asset where the current lease rates are as much as 30 percent below market. “This iconic asset benefits from a central location surrounded by numerous walkable amenities and some of Denver’s premier, most affluent neighborhoods. With occupancy costs in Cherry Creek and Denver’s CBD continuing to rise, The Forum at Cherry Creek will continue to cater to a diverse office and medical tenants base servicing this central location,” said Johnson, who represented the seller with fellow Cushman & Wakefield Managing Director Jon Hendrickson. The Forum houses nearly 40 tenants. A competitive bid process led to 13 offers for the asset, which was 88 percent leased. Millice Group first sold the 10-story building in 2007, after owning it for more than a decade. “It did well. It was a very good investment,” said Millice, whose company remained in the building. Then the recession it. “After the ownership struggled with the building for quite a few years, we ended up buying it back in 2013,” said Millice. It paid $7.32 million for the property and repositioned it by adding medical tenants to the rent roll. About 40 percent of the building was leased to medical tenants at the time of the most recent sale. Millice Group, which owns Cherry Creek Athletic Club, has owned a number of commercial real estate assets in the Glendale area over the years. The Forum at Cherry Creek is located near the intersection of Colorado Boulevard and Alameda Avenue. It has a higher parking ratio than other buildings within its competitive set, with 3.83 spaces per 1,000 sf.